We all know that a travelling experience can be easily ruined if something bad happens. When in a foreign land, it’s harder to deal with unpleasant experiences. It is important to take little steps to ensure safety at all time. 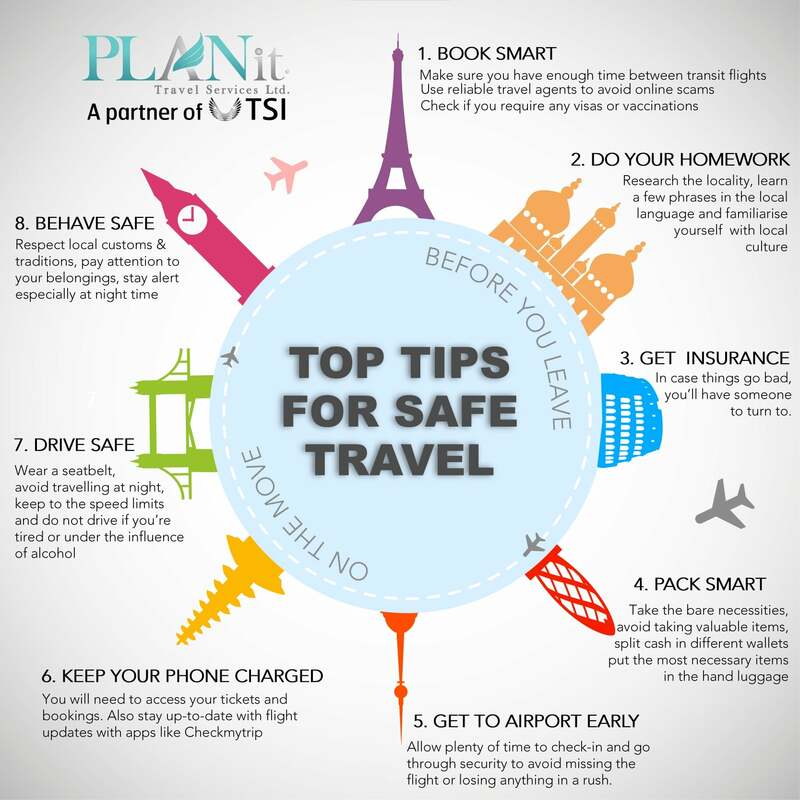 Have a look at some of our top tips on how to travel safely.